Have you moved to EMR, but still have old paper charts in storage? Are paper charts still taking up space in a back office or self storage unit? Does your staff spend more time managing paper charts than practicing medicine? Do you need a partner that is totally HIPAA compliant? Simply find a patient and click "retrieve"
Now all patient charts are electronic files, but only if you need them. That's the beauty of Scan On Demand. It's simple, secure and cost-effective. Scan On Demand even works if you haven’t fully converted to EMR. No more shelves full of paper in your office or a storage unit. As a full-service records center, we use barcode technology to index and manage everything. We are so efficient, you can store 130 standard boxes for just $50 a month, and the online records management software is FREE. Compare that to hundreds of dollars spent storing your patient records in costly medical office space or unsecure storage units. Freedom from paper! No more trips to the storage unit. No more time spent indexing, pulling and re-filing charts. 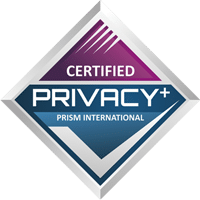 We are the low-cost partner to your practice, and all our staff receive HIPAA compliance training and certification. Call us or complete the form on this page to find out how we will do all the "heavy lifting" and solve your paper chart dilemma. Join the many practices enjoying our Scan On Demand service! I Have Medical Charts that Need Scanning! Need Help Digitizing Your Patient Records?